Cardiff Airport, a great transport link, located on the south coast of Wales in the historic county of Glamorgan where the Severn Estuary meets the River Taff. Home to the National Opera, the picturesque Cardiff Bay, the Wales Millennium Centre Complex and much more, you’ll never tire of things to see and do here. 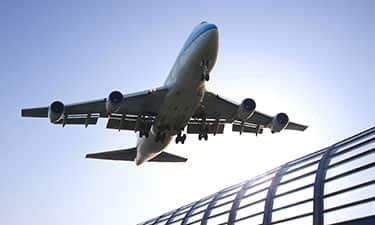 Staying in our Cardiff Airport hotels is an ideal option for all of the family to either catch an early flight or to enjoy the attractions and events this area has to offer. Book one of our hotels near Cardiff Airport and immerse yourself in this popular destination’s culture. Surrounding attractions are in plentiful supply and include everything from theatres to beaches to great eateries. When in the area, a trip to Porthkerry Country Park is a must. Located a mere three minutes from our Cardiff Airport hotel, it is here you will discover 220 acres of meadows and woodland. Other attractions include the Glamorgan Wartime Heritage Centre, a great option for history buffs and culture vultures, situated just over 20 minutes from our Cardiff Central hotel. Exhibitions offer a glimpse into the past and include everything from recreated trenches to World War I memorabilia and life like bunkers. From culture to countryside, there is something for all in Cardiff. Stay in one of our hotels at Cardiff Airport and you’ll have no excuse not to explore this happening region. With a busy events calendar and an array of attractions at your disposal, our hotels are an easy, hassle-free option for couples, families and friends, regardless of whether you choose to stay before catching a flight or for an entire week! If visiting in the summer, be sure to check out Whitmore Bay Beach, Barry Island's soft sandy bay, which is also home to an array of fairground rides and amusements.